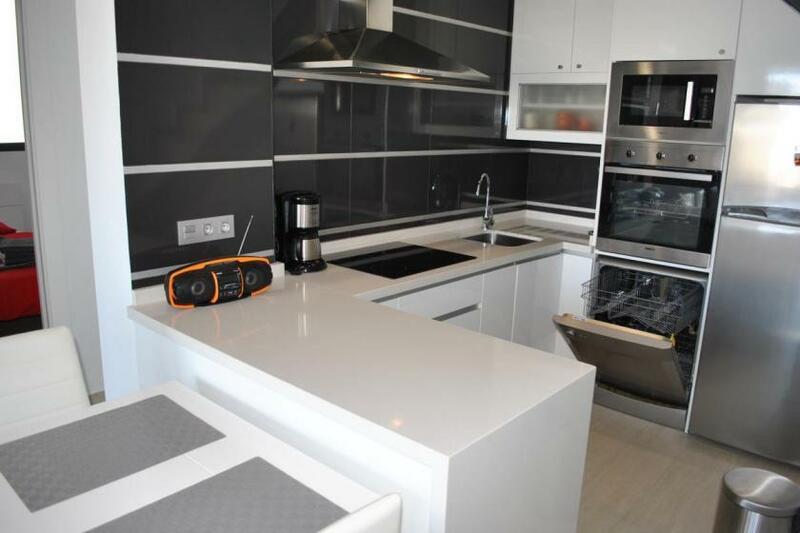 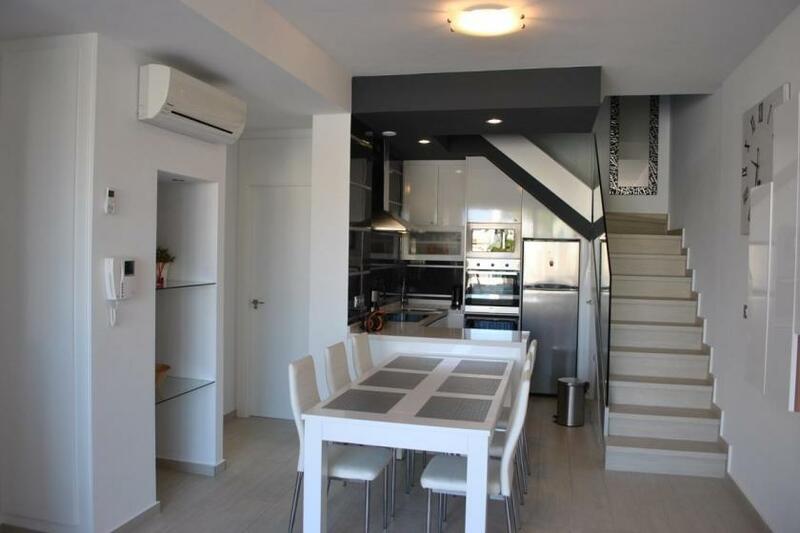 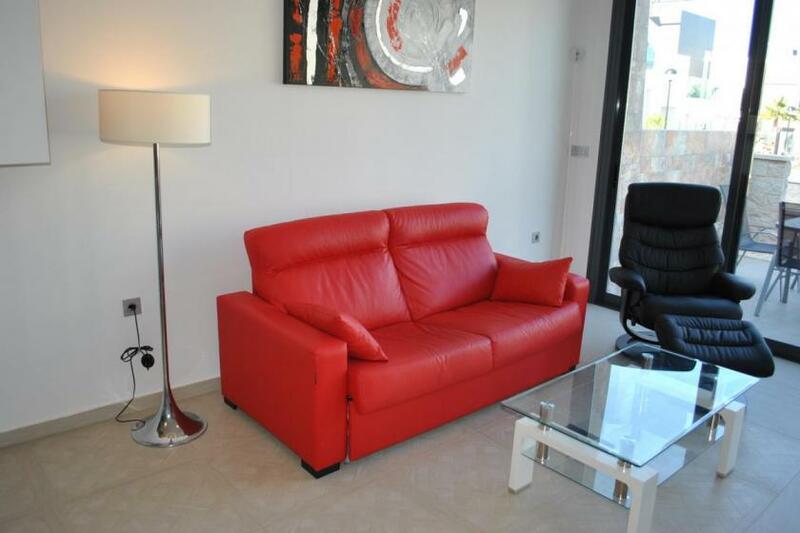 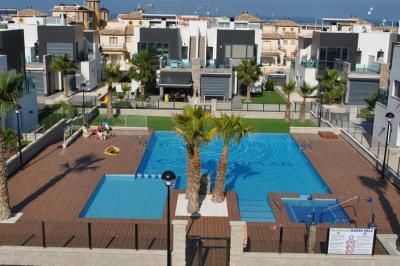 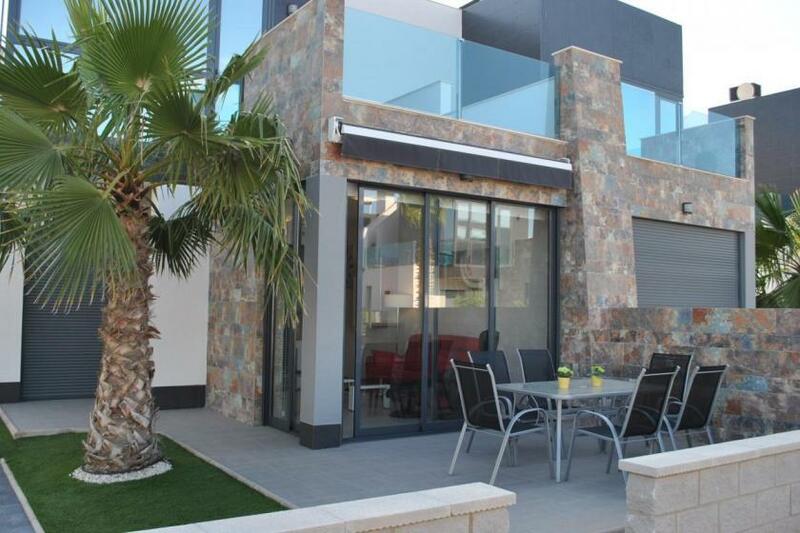 This Modern designed Quatro style 2 bedroom duplex bungalow is located in Park Oasis Hill in Lomas de Cabo Roig. 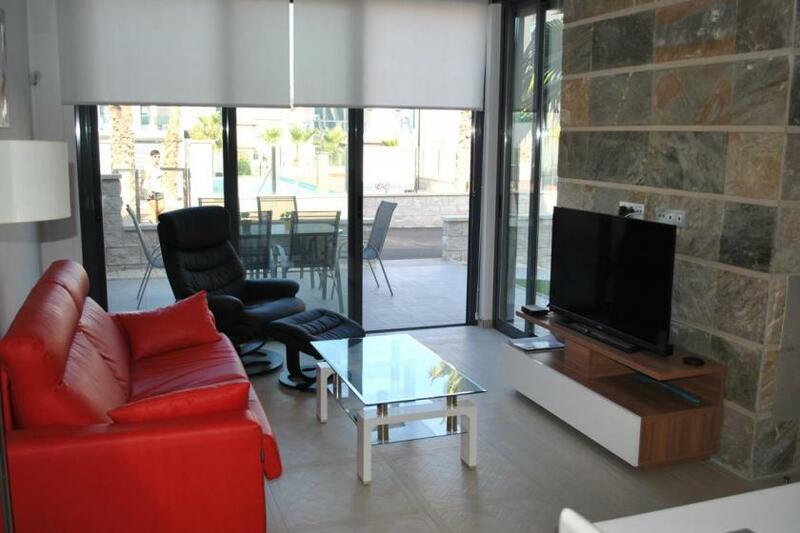 This property offers on the ground floor a spacious and nicely decorated living room with airconditioning, a open plan kitchen with all necessary appliances, a bedrooms with 2 x 1 sleeps and a bathroom with shower facility. 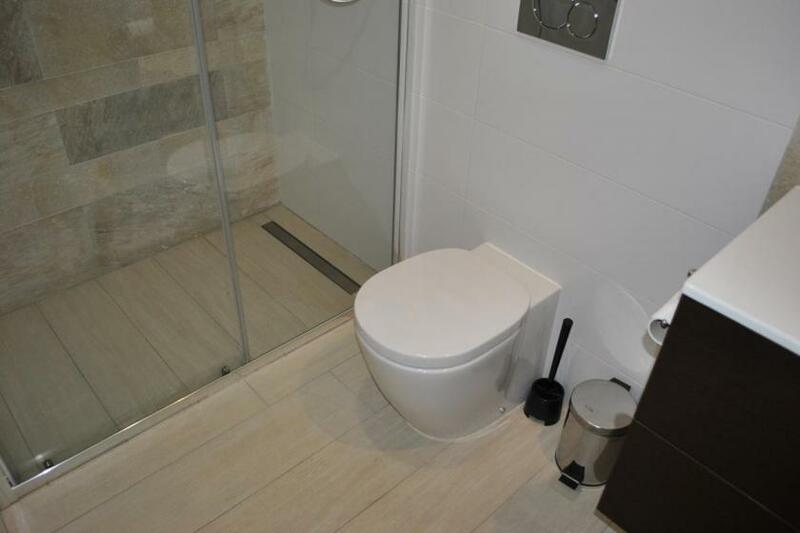 All build to high standard with quality modern materials and stylish internal finishing. 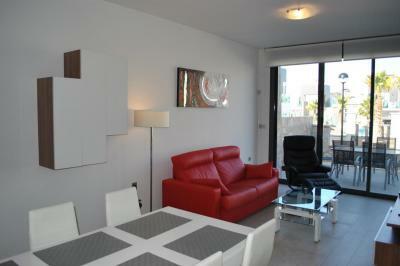 From the living room you have access to a fully equipped southern located terrace. 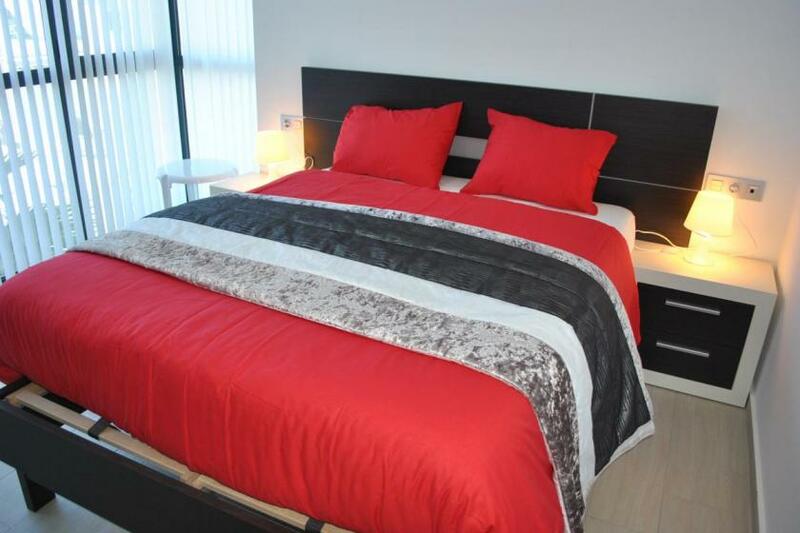 On the first floor a master bedroom, 1 x 2 sleeps with en-suite bathroom, direct access to a balcony equipped wit a loungeset. 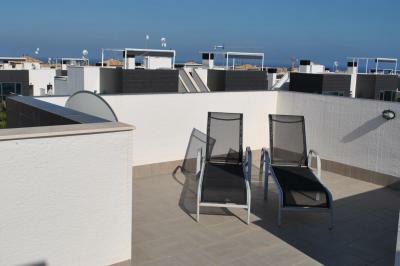 There is a private solarium overlooking the area and the Mediterranean Sea. 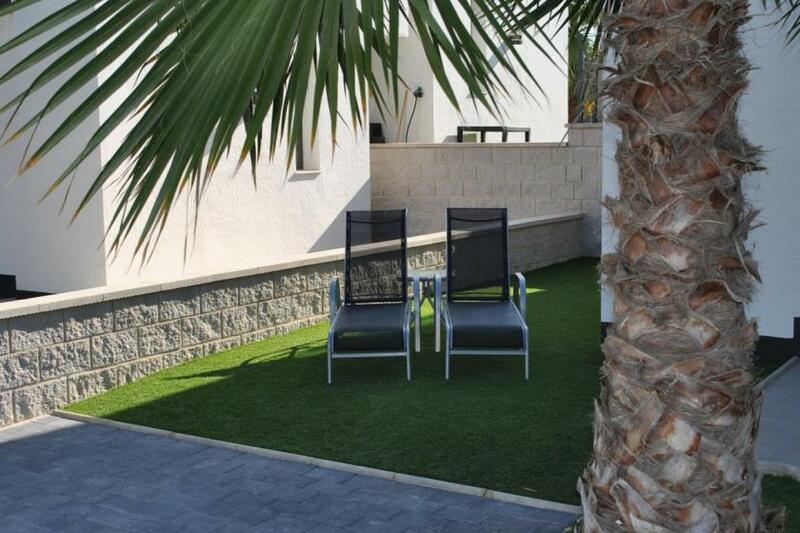 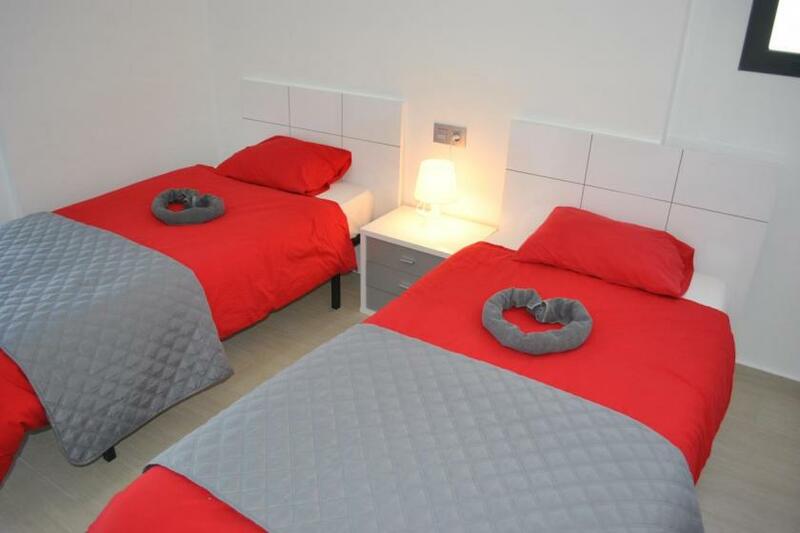 There is a wonderful green area of over 1186 square metres which can be enjoyed by all the properties, and is complemented by a beautiful swimming pool which is safe for children. 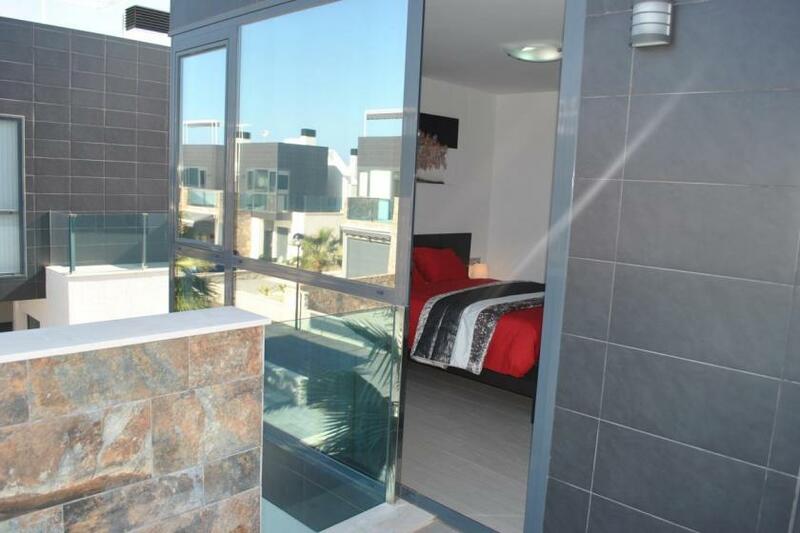 All these features, together with the fabulous location of this holiday home and only 1 kilometer from the beach, makes this complex one of the most attractive in the area of Orihuela Costa. Come and enjoy the best relaxing time of your life all year round. 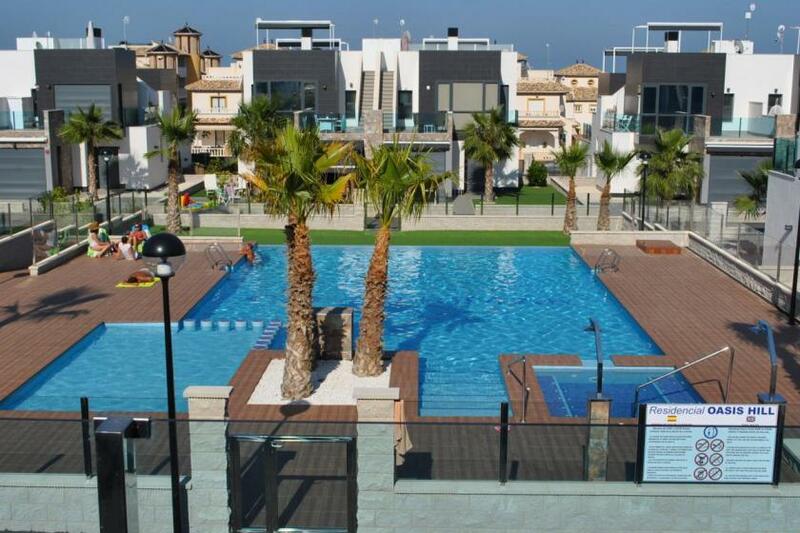 This beautiful residencial complex Oasis Hill is situated on the Costa Blanca between Torrevieja and Campoamor and is easily accessed from the AP7 motorway and the Dehessa de Campoamor exit. 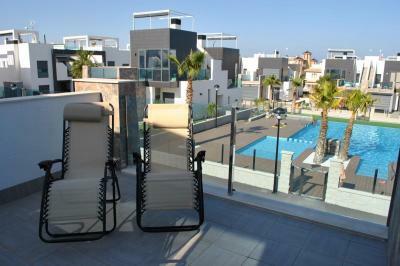 Having a car is not necessary but there are endless number of places to visit if you have one. 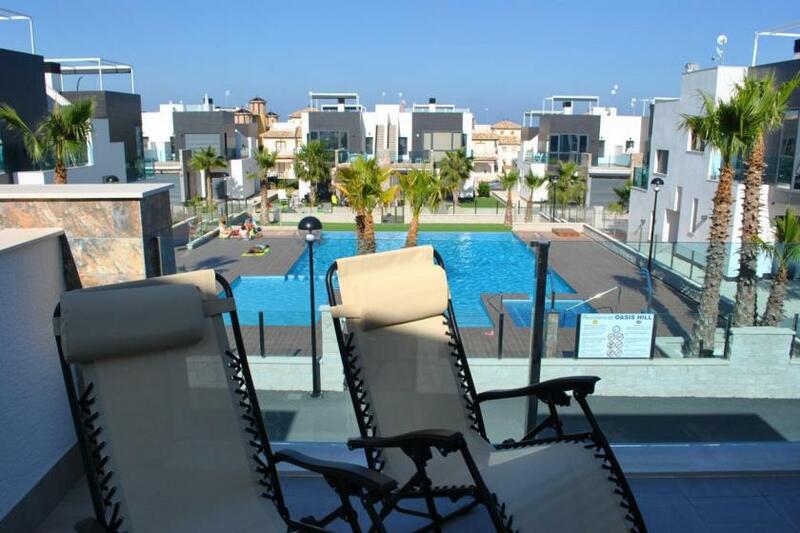 Just 3 miles from Cabo Roig is the historic town of Torrevieja which is surrounded by salt lakes and the home to wildlife including pink flamingoes. 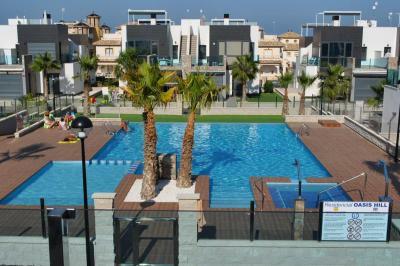 Also a large marina, funfair, promenade which is bustling from early evening with street art, with a harbour walk and abundant shops, bars and restaurants. Here you will also find the aqua park to entertain the children and shopping markets.